The Children's Python Antaresia childreni, Spotted Python Antaresia maculosa and the Stimson's Python Antaresia stimsoni were at one stage all classed as Antaresia childreni and called "Children's Pythons"
Because many Spotted Pythons Antaresia maculosa in particular were sold in the Pet Trade for many years as Children's Pythons, and fauna authorities were slow to recognise the species change, this has caused a lot of confusion to the layman. It also has meant that there are hybrids being sold as "pure" species in error. Also it appears that there may be naturally occurring hybrids in some areas. 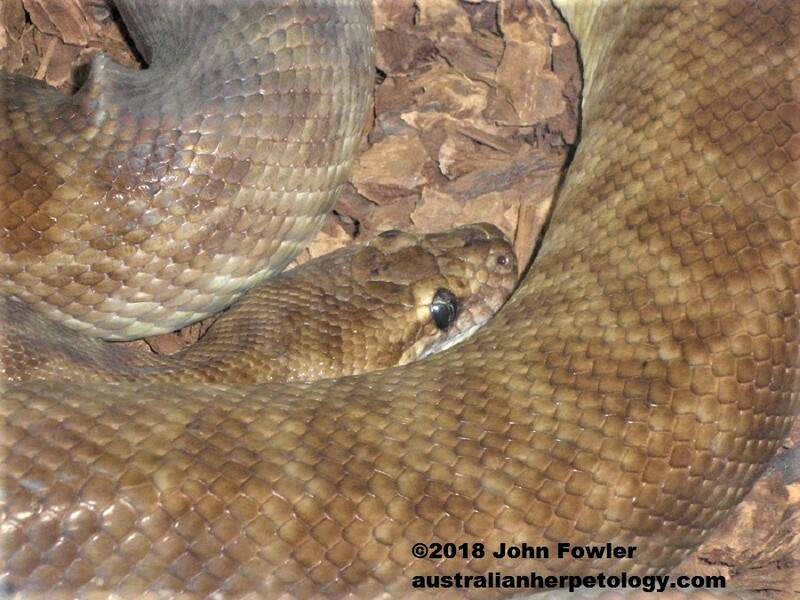 Added to this the patterns of Spotted Python Antaresia maculosa and Children's Python Antaresia childreni vary considerably in some areas, making positive identification difficult in some snakes, especially juveniles.